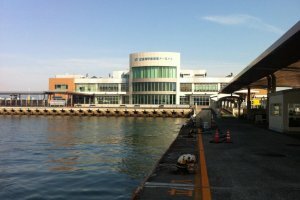 Hiroshima Port Ujina Passenger Terminal lies on the coast south of the main part of Hiroshima. 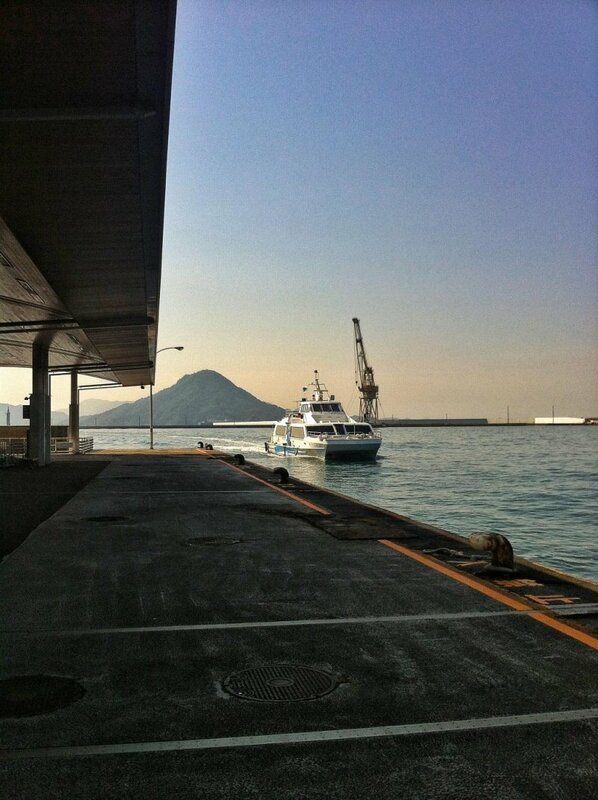 It provides ferry links to Shikoku, one of the four main islands of Japan, via the neighbouring city of Kure. 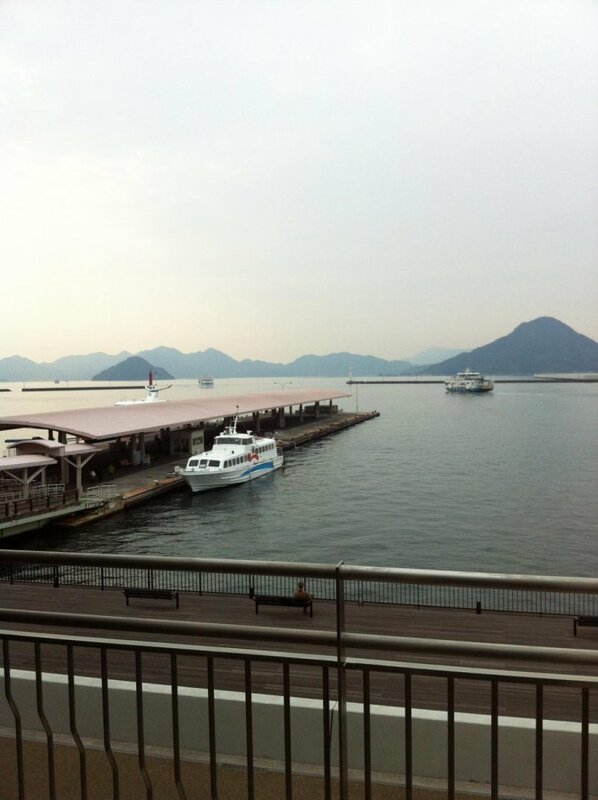 It also serves ferries that visit local islands such as Etajima and Miyajima. 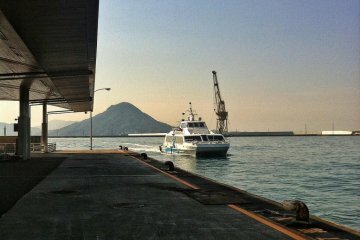 There are two kinds of ferry between Hiroshima and Kure and Matsuyama Tourist Port. 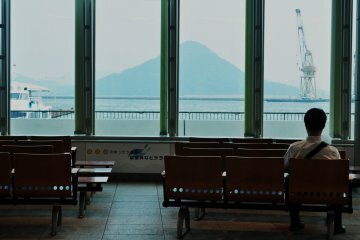 The Cruise Ferry operated by Ishizaki Kisen is a passenger and car ferry which takes about 30 minutes from Kure to Hiroshima, and a further two hours to get to Matsuyama. 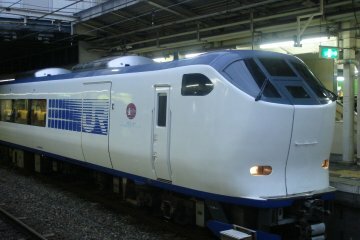 The Super Jet Ferry operated by the same company takes 15 minutes from Kure to Hiroshima, and just under an hour from Kure to Matsuyama. The price differential between the Cruise Ferry and Super Jet is roughly half. 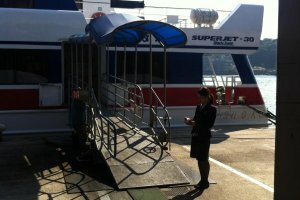 The Super Jet ties up at Dock 7, and the Cruise Ferry at Dock 10. 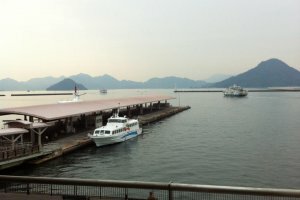 The high speed ferry to Miyajima from Hiroshima Port takes 22 minutes and costs 1,800 yen. 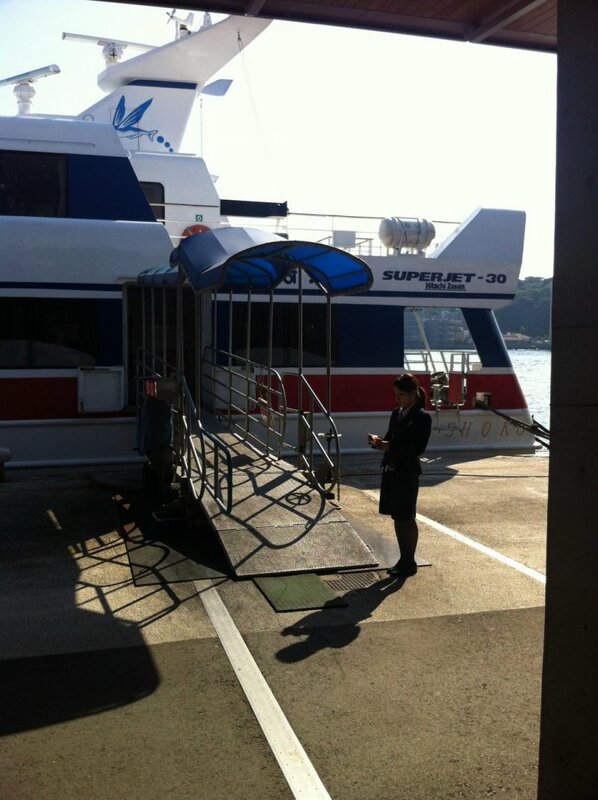 This ferry departs from Dock 6. 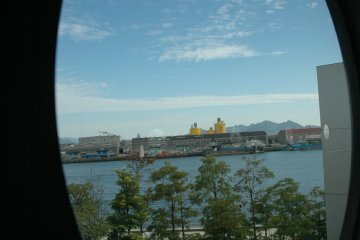 Hiroshima Port is served by Hiroshima’s excellent tram service. Trams both vintage and ultra-modern stop at the port. 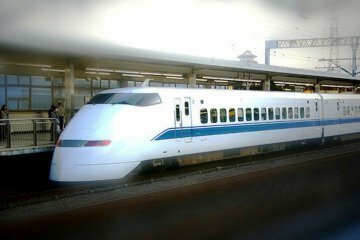 The trams cost a flat 150 yen for any distance, and one of the frequent services will take you to central Hiroshima in about 30 minutes. 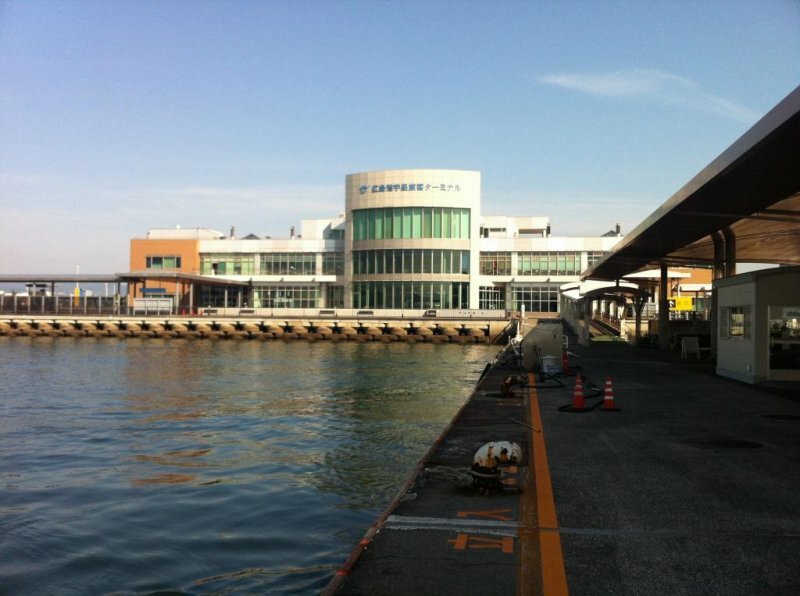 Hiroshima Port itself is a pleasant new building sitting in a somewhat isolated spot away from the center of Hiroshima. 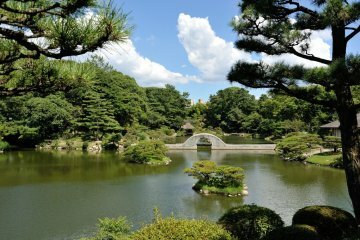 It has a couple of well-stocked souvenir shops, and a surprisingly international selection of restaurants including Indian and Chinese, as well as Japanese noodles. There are also two cafés, one of which doubles as a bakery. There’s also an information desk with a good selection of maps. 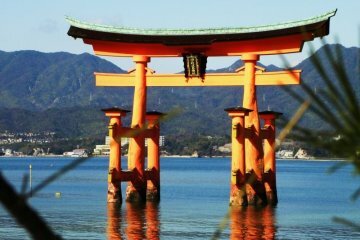 The ferries from Hiroshima Port offer travelers a convenient means of getting to Shikoku and the local islands, whether you have a car or not. 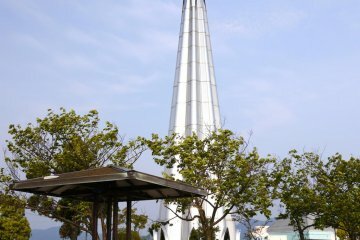 The prices are very competitive compared with other ways of getting across the water, and the ferry trip itself is an adventure, offering a chance to see the beauty of the Seto Inland Sea from a different viewpoint.